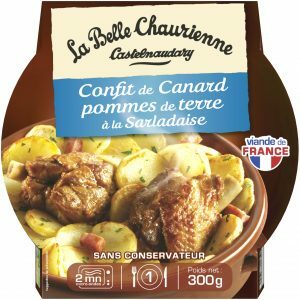 A delicious cassoulet prepared by La Belle Chaurienne in Castelnaudary. 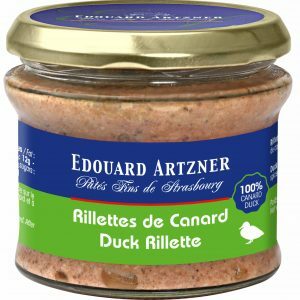 Prepared with tender pieces of duck, Toulouse sausages and charcuterie cooked in a flavoursome lingot bean sauce. Serves three and a very convivial dish when you have friends round-please scroll down to view our serving suggestions! Storage: Can be stored in a cupboard. Once open store in fridge and consume within 3 days. Dietary Information: Gluten free. Egg free. Nut free. Lactose free. No artificial additives or preservatives. Grilled Toulouse sausages (pork meat, pork fat, water, pork casing, salt, pepper), duck meat, pork meat, lingot beans, sauce (water, tomato concentrate, salt, garlic, pepper). You can either pour contents into a saucepan and warm gently until hot. 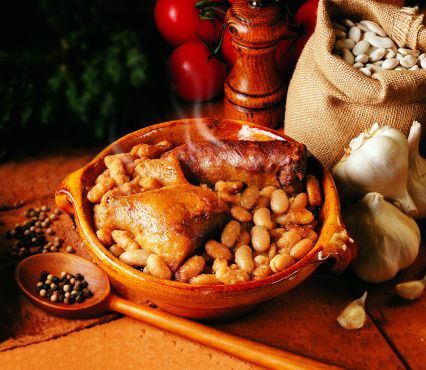 Or for even better results pour your cassoulet into an oven dish and place for 20 minutes in a pre-heated oven (180c) until a golden crust forms. 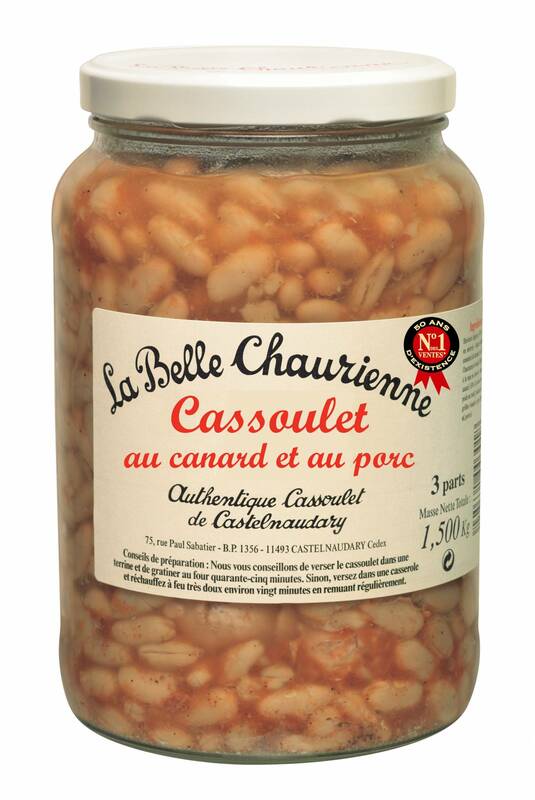 Cassoulet is a complete dish and does note require an accompaniment. But if you do want one, a green salad works well. 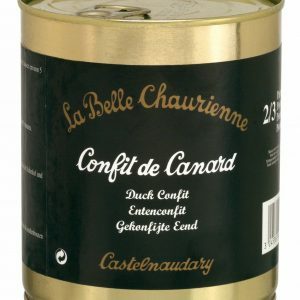 If you have time try frying some shallots and until golden brown together with some pieces of chorizo and add these to your cassoulet for great results!